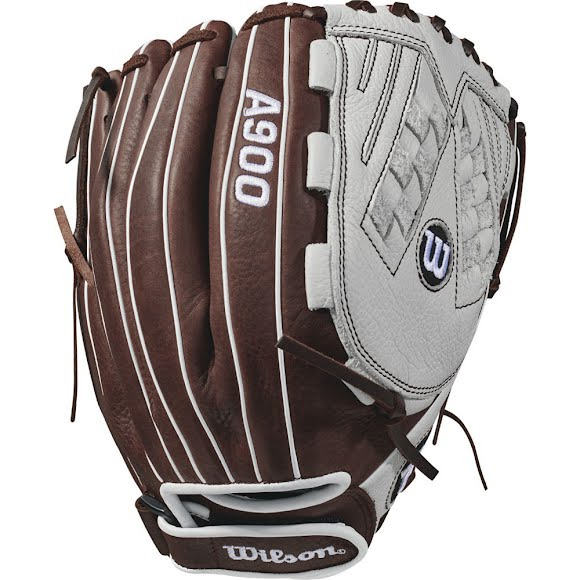 The new 12.5" Aura™ softball glove is 100% game-ready on Day 1. This 12.5" model is perfect for developing the skills needed to take over the outfield. The Aura™ is the ultimate glove for the developing fastpitch player. With its game-ready leather and fastpitch-specific patterns, the Aura™ will help take any developing player's game to the next level. The new 12.5" Aura™ softball glove is 100% game-ready on Day 1. This 12.5" model is perfect for developing the skills needed to take over the outfield. The Aura™ is the ultimate glove for the developing fastpitch player. With its game-ready leather and fastpitch-specific patterns, the Aura™ will help take any developing player&apos;s game to the next level.